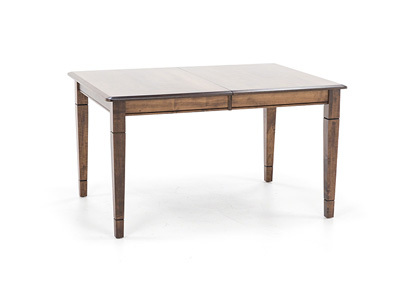 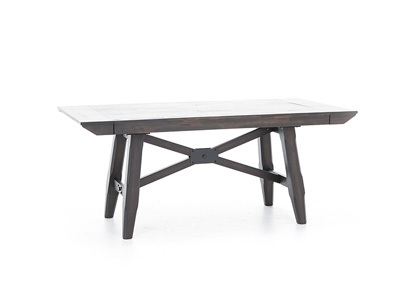 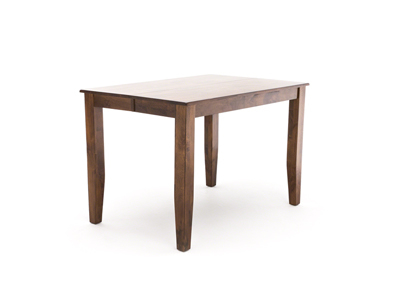 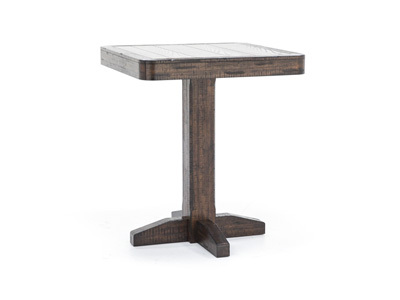 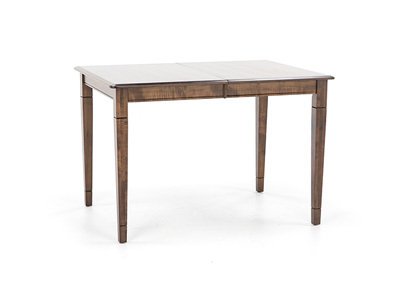 Constructed of distressed mahogany solids in a vintage mahogany finish, a turnbuckle accent, and visible joinery at the table base add to the rustic industrial design of this piece. 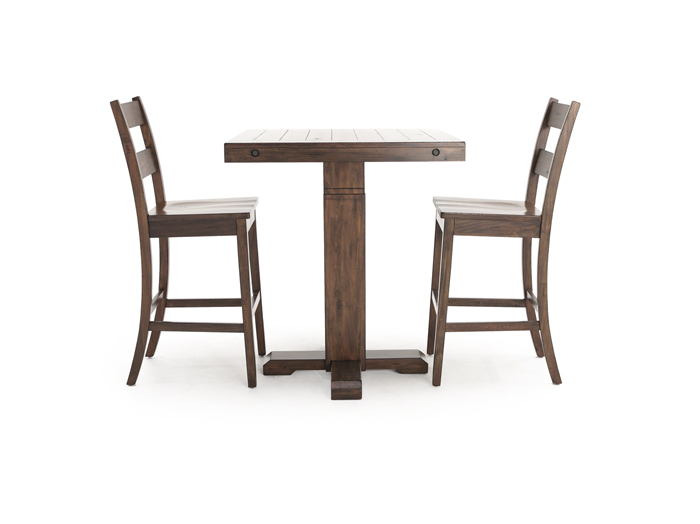 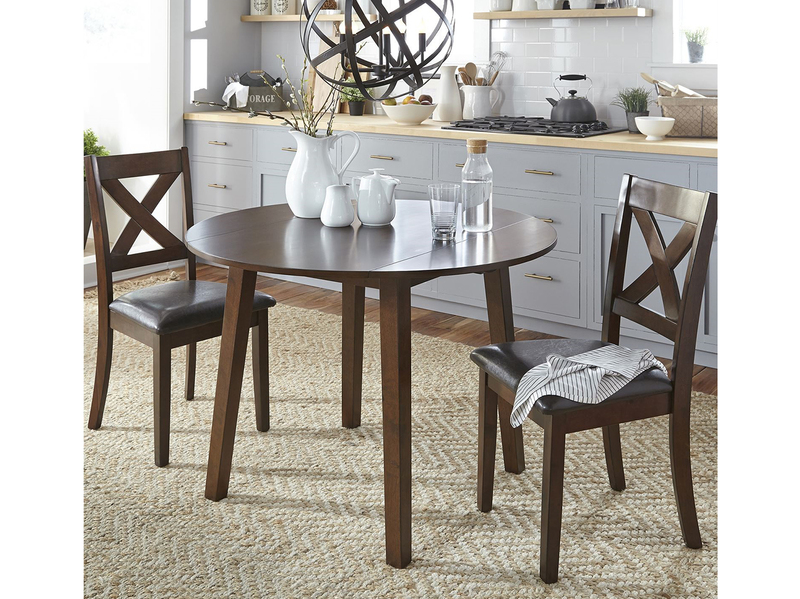 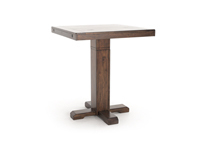 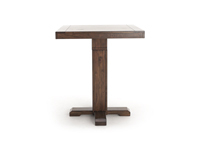 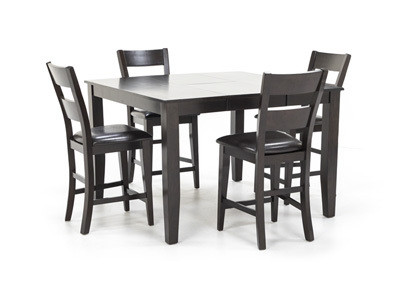 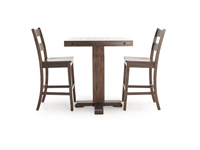 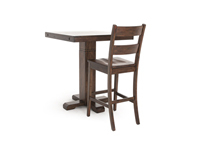 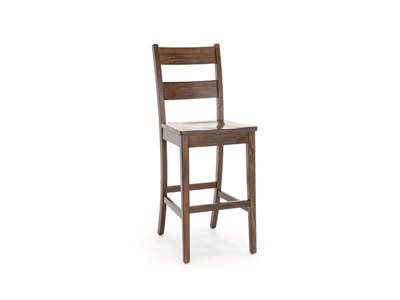 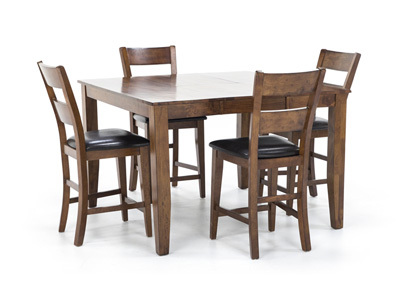 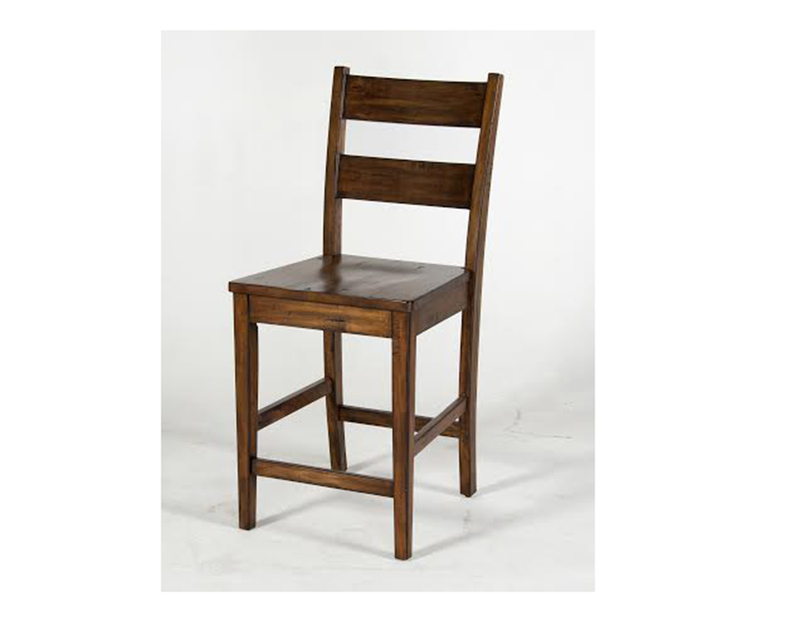 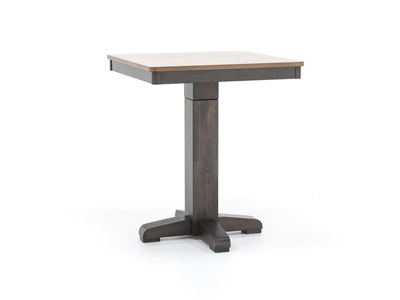 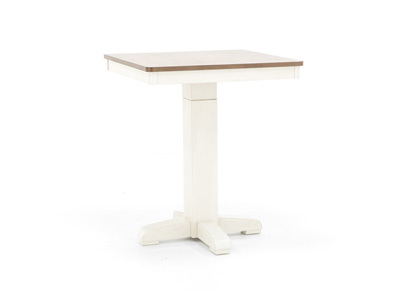 The adjustable table allows to bring it to your comfort zone between 36-42" tall. 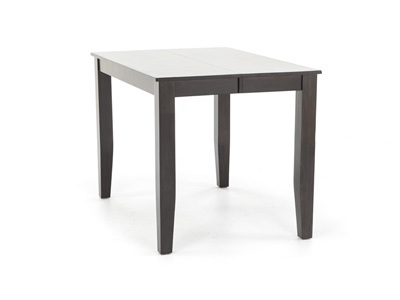 Table is adjustable from 36"-42"